Oh gorgeous! Love the gentle colours and the way you’ve used masking to cluster the flowers. 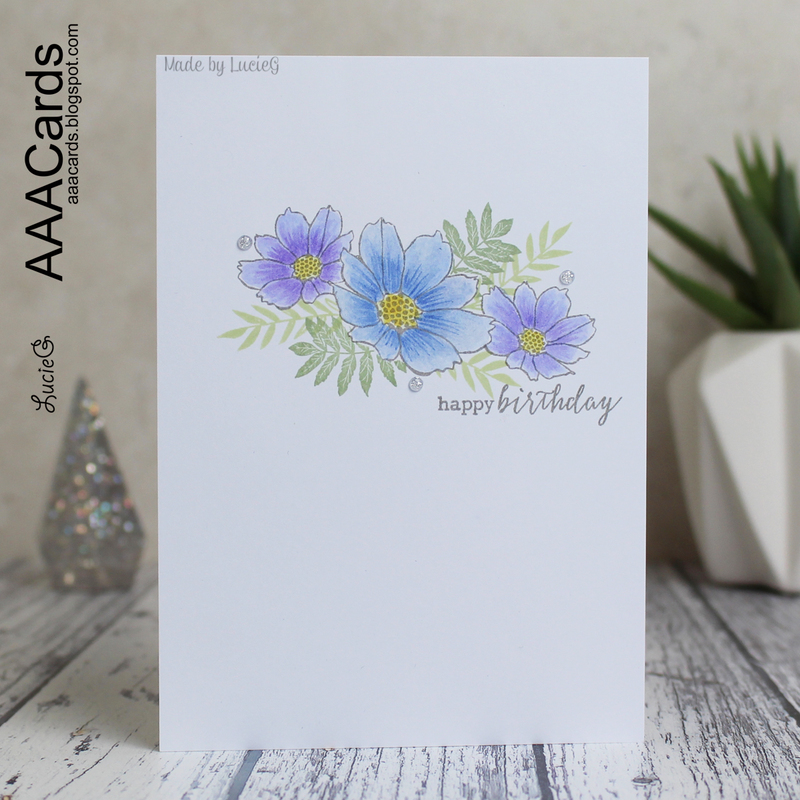 So soft and pretty, a lovely card! Beautiful card, I love your masked and stamped flowers! Soft and pretty! A beautiful bouquet! Beautiful soft coloring, Lucie. Love your pretty flowers.